Its been over a month since my last post – that’s an eternity in blog years. November was a big month, but despite that – or perhaps because of it – I haven’t found the time to chronicle any of the events of the last moon here on the site. PAX was a huge eye opener, as I suspected it would be. Not only was it a great experience, but I learned a lot about how these conventions are run, how RPG sessions work (and when they don’t work) in this setting, and about how I can transport some of these lessons into my personal pathway going forward. More on PAX in it’s own post chain. November became the month I once again overloaded myself on RPG project work – despite my assertion to pace myself and not get in over my head like before. Sigh. Apparently I didn’t fully learn that lesson. I expect come the end of February (my Kickstarter deadline) I will rue my choices. That being said, in RPG development the goal posts are always shifting, and some changes can’t be anticipated or helped. The first of my problems was not unexpected – print issues again! What a surprise. This seems to be a common theme with me. I updated me 5th edition Campaign Guide for WLBR, and lo and behold, what was once whole became broken. In making internal changes I must have missed a step in PDF conversion, and ended up with an unprintable book (the digital version is fine). 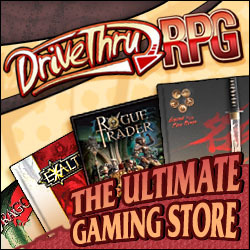 Chris Tang from DrivethruRPG (a man with endless patience) has helped me rectify the issue. There are some inexplicable delays between DTRPG and the printer at the moment, but delays are to be expected (always). Hopefully it’ll be resolved shortly and the print version will once again be available. The second issue was a scheduling problem. What started as a ‘slow and steady’ background group project for DM’s Guild (with Alex Clippinger and Scott Bean) was suddenly moved up the priority list as hints began that other guild producers were working on similar projects. Second to the table will hurt the project, so it’s now become a high priority that WILL interfere with my Kickstarter material production in ways it was never intended too. Hopefully we can clear this out before it really begins to hurt the kickstarter schedule. Finally, and most excitingly, I was presented with an opportunity I simply could not pass up. The author Richard A Knaak – of Dragonlance fame – wants to turn his new novella line setting – Rex Deraconis – into an RPG line for D&D and Pathfinder. Despite my already overflowing workload, I HAD to jump on board with this. The chance to work with one of my favourite authors could not be passed on. I’m lucky enough to be partnered with Phil Beckwith of PB Publishing (another Perth local) on this. Exciting times set for 2018. But this rollercoaster is not without cost. Between my day job, various project commitments and gaming responsibilities (DMing is an obligation not easily set aside), family and friends I’m spread very thin right now. Too thin in fact. Continuing in this way is more pressure than I need heading into the holidays. With that in mind, my December goal is to bring everything back into balance. I need to make a better plan than lurching from job to job, crisis to crisis, and most importantly, I need to make time to do a little bit of everything. And so with that in mind, I plan to put my feet up with a cold one and watch the cricket (that’s the rest of the world’s equivalent of baseball to any US readers). I mean, I’ll still have my laptop and I’ll be working as well, but I’ll be recreating at the same time. That’s a thing right?